As I came around the corner of the north side of CenturyLink Field last Friday, I was thinking this brand new festival, the New Orleans Food & Funk Festival, could possibly be sparsely attended; after all, there were only a few hundred people in line and since the Seattle Mariners were also playing close by, it was hard to gauge who was going to the game or to WaMu Theater to get their NOLA on, unless they were decked out in M’s gear, of course. Also in play was the Huskies and a Friday night home game, but I’m happy to report that neither of those factors mattered in the least. From an attendance standpoint, the festival was a success, and from an entertainment perspective it was beyond a success. Since this is primarily a music website, I’ll stick to that side of things, but I will say that the food was top-notch and the only complaint I heard was about the length of the lines leading into each of the festival’s NOLA-themed food vendors. Let me add that I did eat and it was killer. 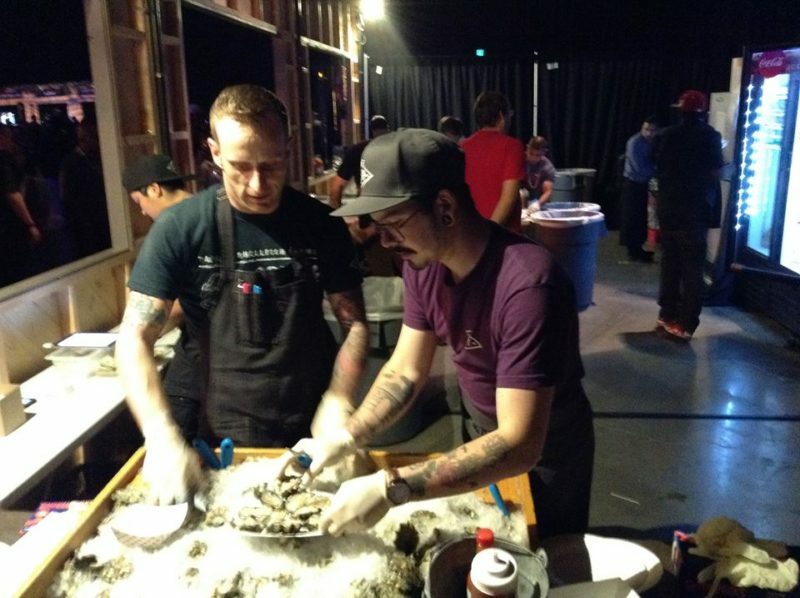 For the festival, WaMu Theater had been set up to resemble a food court, with the vendors lined around around the perimeter of the entertainment space, with the Voodoo Pharmacy Bar in the center and a few other watering spots scattered on either side of the venue. It was quite dark inside, giving a bit of a spooky vibe to the night, which matched the decorum perfectly, as it was pretty clear to anyone there that a lot of thought went into how they wanted this festival look and feel. If I was awarding points for that, the festival organizers get a solid 10 out of 10 for that part of the event. 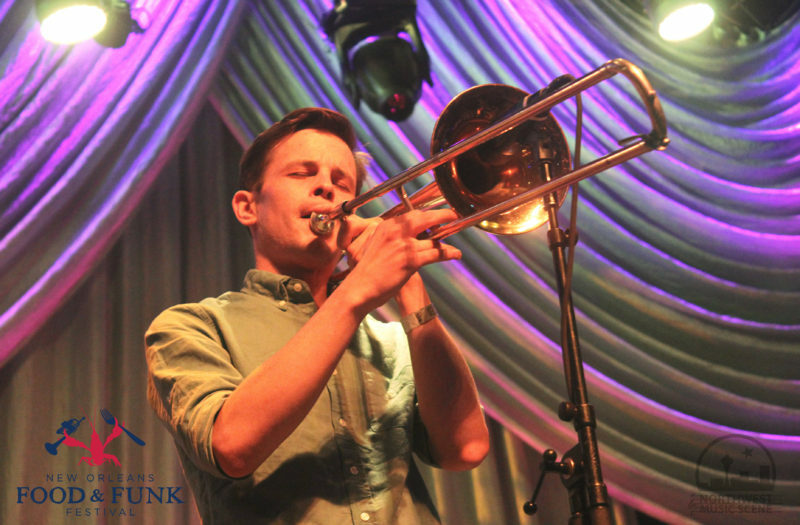 The stage was setup in the usual spot inside WaMu and was adorned with an impressive array of lights to illuminate the performers, which included Seattle’s own Polyrhythmics, who started the night off with a bang with their brand of a dancy combination of funk and soul. The band was tight and clearly ecstatic to be included in the affair. This was my second time seeing them, and they are always a joy to be sure. In between bands there were a handful of street performers set up in the center of the floor space in front of the stage. I’d seen them previously at Bumbershoot entertaining the passersby with their dazzling African dance moves set to the pounding beat of the congas. One of them had a slight mishap and smacked his head on the floor, abruptly halting the performance, but he gave a thumbs up signal as he was carted off. It was time to get back to the music. 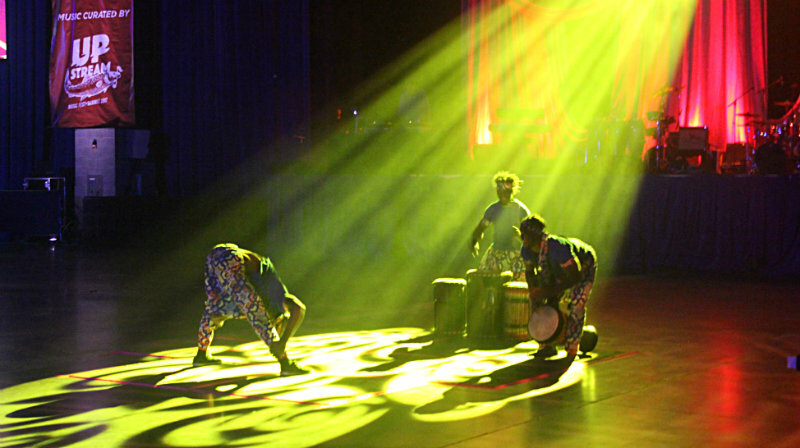 Next up was a troupe from right down the road in Portland called Ural Thomas & the Pain. Ural is a gifted singer, and his band that backs him up, although much younger than his 73 years, is quite competent in providing layers of blended soul-blues of which Ural uses his powerful voice to sing over the top. By the time their set ended, they had a now-packed WaMu theater paying attention to the music and a decent amount up on their feet, many of them dancing and swaying to the beat. Here’s a pro tip for you: If you are ever at a festival or a show and a band walks out on stage in massively feathered and brightly colored costumes, drop what you are doing and get as close to the stage as you can possible get. Apparently many others got this memo even before I wrote it, though, because as Bo Dollis Jr. & the Wild Magnolia Mardi Gras Indian Band sauntered across the stage in those aforementioned costumes, the ample dance floor was packed shoulder to shoulder even before they fully got started. For the next hour or so, the band delighted and loved on the Seattle crowd. Even though the band is over-the-top from a theatrical standpoint, they are beyond that in the musical department, but there is so much going on with them, it’s almost hard to just focus on the music. This is in no way a negative though, because the theatrics, which included giving away everything from boxes of beaded necklaces to wall posters and drumsticks, match the music. Many times throughout the set, as the ringleader along with his mom and brother were engaging the crowd, there is this furiously funky backdrop being played. I have to admit that I was thankfully caught up in the melee in front of the stage for most of the band’s performance, and it was quite magical. Bo Dollis and his killer band literally transported me and everyone around me to the French Quarter for that hour. 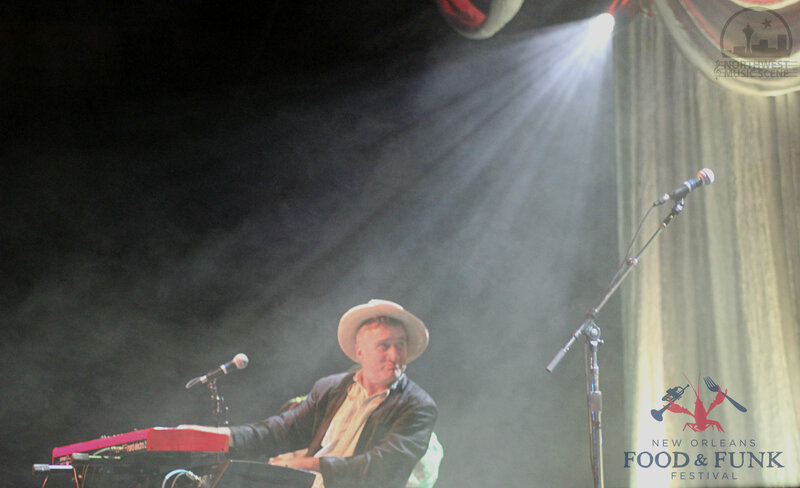 Ending the night was another act I had seen before and was anxiously awaiting his performance When I first saw that the festival would have Jon Cleary and The Absolute Monster Gentlemen, I knew that whoever was curating the music certainly had done their homework. For the record, the great people at Upstream Music Festival were responsible for the music, but since Paul Allen is friends with Cleary, I’m sure he had some input as well. 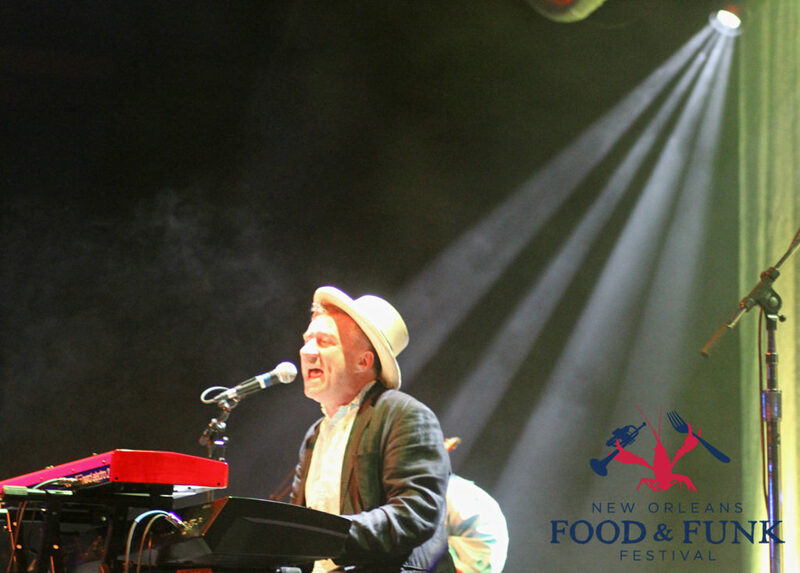 Far from a household name unless you currently follow the the funk/soul/blues world (which luckily I do), although winning a Grammy in 2016 certainly helped, Jon Cleary is in the very upper escelon of boogie-woogie piano players on the planet, sitting alongside names like Dr. John. 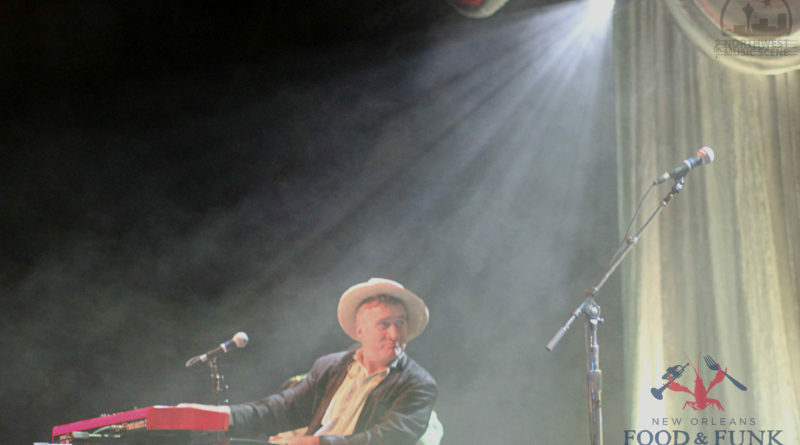 The last two or three decades of Cleary’s life have been dedicated to keeping this treasured part of American music history alive, and he is a worthy torchbearer. 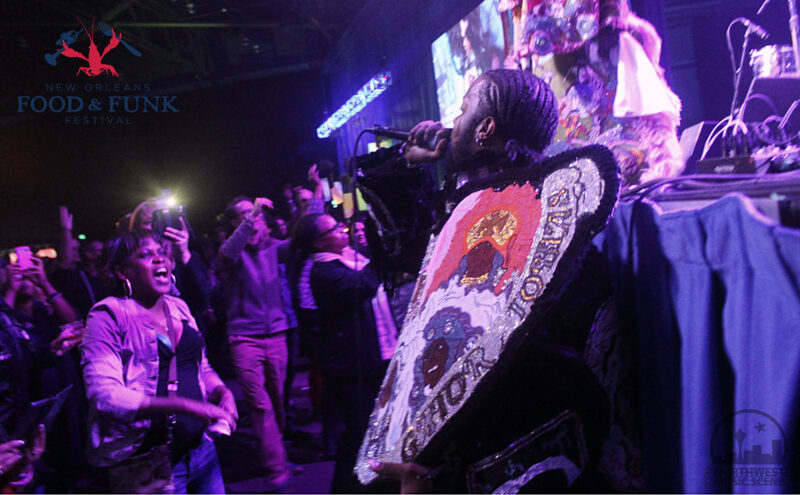 Admittedly, following Bo Dollis’s blistering performance was not going to be an easy task at all, but when you are as talented as Cleary is, you don’t concern yourself with that stuff. Instead, he tickled the ivories for energetic songs like “Tipitina,” written by NOLA legend Professor Longhair, and blew the funk-loving crowd away with his absolute mastery of his instrument. With a mixture of classics and newer music from his 2015 release Go Go Juice, this funk/R&B icon, along with his Absolute Monster Gentlemen, put the exclamation point on the evening. 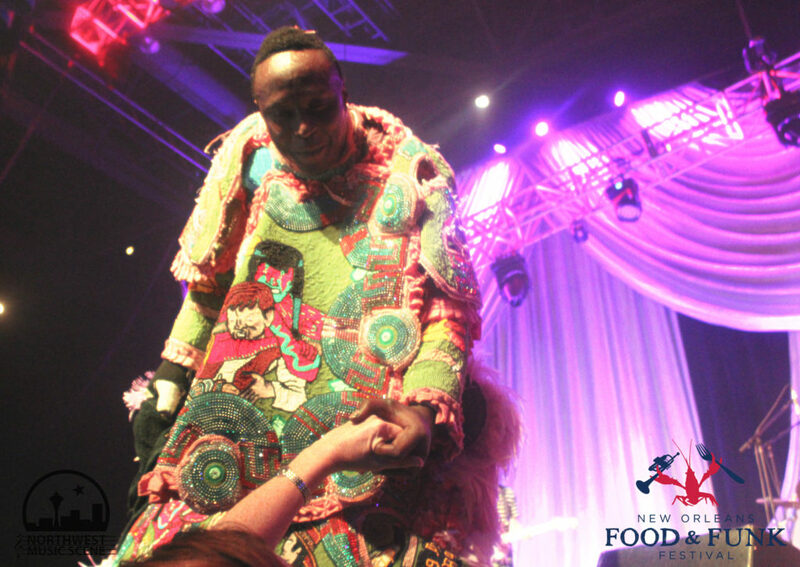 I never did find out what the attendance was for the night, but judging by the lines for food and the packed out dance floor, the first annual New Orleans Food and Funk Festival was a smashing success. 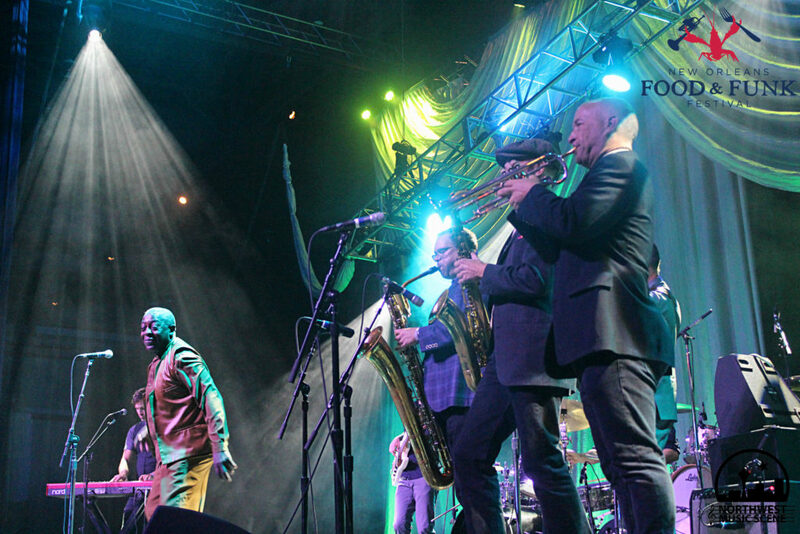 Check out more photos from New Orleans Food & Funk Festival HERE.